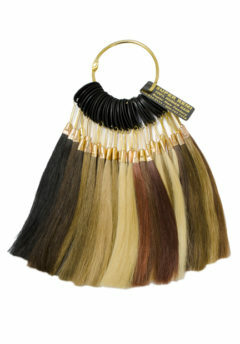 Color Ring (Silver Stem) - Super Hair Factory Inc.
Made of 100% Super Remi Human Hair with 48 sample colors. 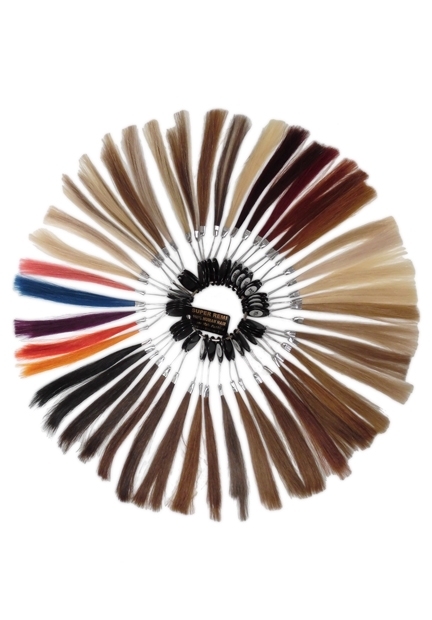 This color ring is designed to cover all SuperRemi hair products, including Hand-tied Micro-thin weft hair, Clip-in hair extensions, EZ skin weft, Tape hair extensions, all kinds of Pre-tipped hair extensions, such as U-tips, I-tips, Flat tips, Micro-link looped hair extensions, etc. 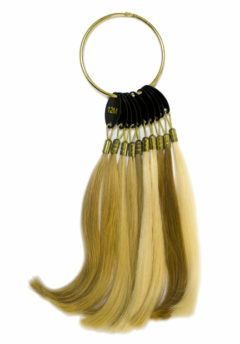 This ring includes many solid cool and ashy blonde colors and combinations. Also, for the first time, this ring includes 5 fancy colors: Blue, Purple, Pink, Red, and Orange. 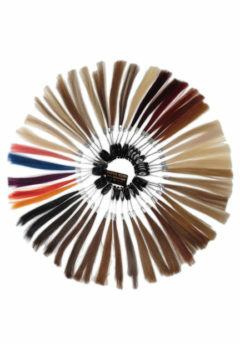 The fancy colors are available for U-tips, Flat-tips, and Tape hair extensions. 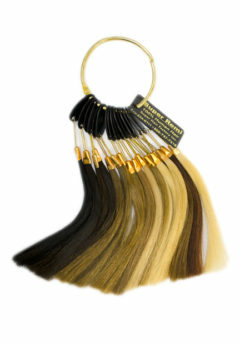 1, 1B, 2, 2B, 3, 4, 4B, 5, 5B, 7, 8A, 8B, 9, 11, 12B, 13, 14A, 14D, 15, 16A, 17, 19, 21, 21P, 24A, 27B, 28, 30B, 31B, 32B, 33B, 35B, 613A, D7/21P, D8A/24A, D8B/21P, D14A/21P, D14A/613, D15/17, D15/21, D15/21P, D16A/21P, D24A/21P, Pink, Blue, Purple, Red, Orange.